Their patterns are simple and not particularly detailed. Yet they are the most famous nomadic carpets from Iran. 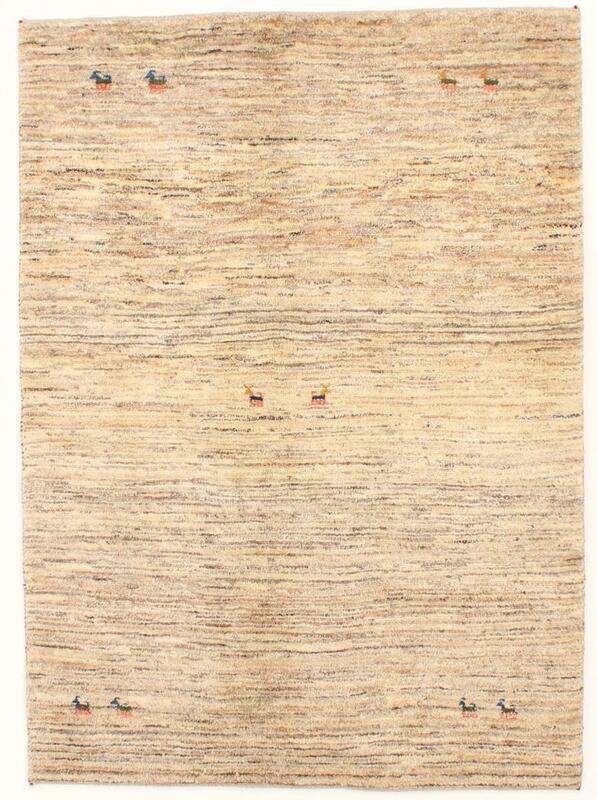 Gabbeh carpets are knotted by the nomads of the Ghashghai tribe in the Fars province of Iran. The basic material is hand-spun wool, which is then dyed using natural colours obtained from plants and minerals. 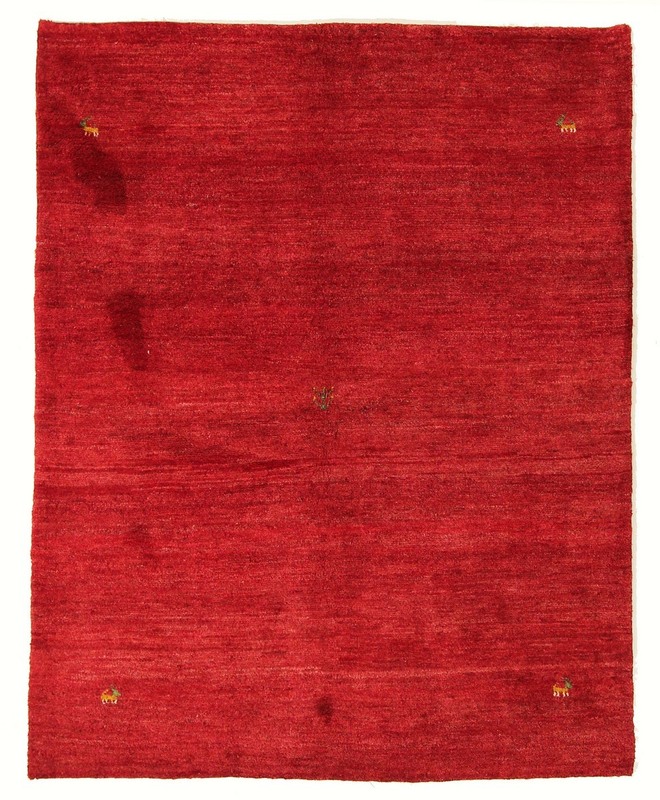 Gabbeh carpets are relatively high with a thickness of up to 2.5 cm. In Persian Gabbeh means raw or natural. The perfect name for these nomadic carpets, whose design language is reduced to the essentials. Often one finds a simple animal or plant motive, like camels or trees on the carpet. These motifs are inspired by the everyday surroundings of nomads. For some time now, however, Gabbeh has often been knotted with small and large, colourful fields. European influence is responsible for this development. Nowadays, Gabbeh carpets are often copied by Indian manufacturers as they have achieved a very high level of familiarity and popularity worldwide. For this reason one should pay attention to the origin of the carpet because Persian Gabbeh rugs have a clearly higher quality, are softer and at the same time show themselves more robust against usage. For Gabbeh there are different additional designations depending on the type: among others Loribaft, Sumak or Kaschkooli. They differ, for example, in the height of the pile and in the density of the knots. These rugs have been provided from an assortment of over 1.550 Persian Gabbeh rugs by Nain Trading from Hamburg. Hamburg, Germany is still the most important hub for the trade of oriental rugs in the Western World with Nain Trading offering one of the largest assortments of handmade oriental carpets worldwide.